If you search your ancestors in Castelgrande, Basilicata, info about your Italian family are stored in the City Office archives or at the parishes. In towns and villages of Basilicata and in Potenza province registry offices were established in early 1800: it means that you could find information in Castelgrande registrar as of that date. So, if your ancestors were in Castelgrande in the nineteenth or twentieth century, then you could try to contact the City Office of Castelgrande to know more. 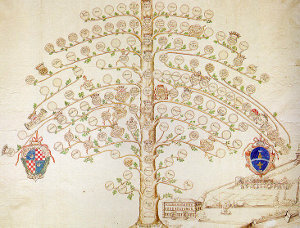 Before to start your genealogy research in Castelgrande, we suggest you to read our tips for your search . They are useful to search in Basilicata and in Castelgrande too. Next picture shows the demographic trends in Castelgrande from the Italian Unification (1861) an important info to understand how many people lived there in the past. It could be important to know if the last name you are investigating is a frequent surname in Castelgrande. As more your surname is common in Castelgrande, as more it could be difficult to find the right info about your ancestors in Castelgrande archives if you have not exact dates. Albano, Bochicchio, Bruno, Calabrese, Caputo, Carlomagno, Carlucci, Cirigliano, Claps, Colangelo, Conte, Cosentino, Coviello, D’Andrea, De Bonis, De Luca, Ferrara, Fortunato, Genovese, Giordano, Grieco, Ielpo, Labanca, Lauria, Lombardi, Lorusso, Marino, Martino, Mecca, Nigro, Nolè, Pace, Pepe, Potenza, Rinaldi, Romaniello, Romano, Rosa, Russo, Sabia, Santarsiero, Santoro, Scavone, Sileo, Summa, Telesca, Vaccaro, Zaccagnino. Church archives in Potenza province may instead contain even older information, but they are far less accessible from abroad (and almost impossible by email). Then,parishes send information not easily. If you have the opportunity to visit Castelgrande and Potenza province, you could plan to investigate churches’ archives by yourself, but from abroad is very difficult to obtain any result unless you find a reliable local help. Another important source of information is the “Archivio di Stato” (National archive) in Potenza. If your research is in a dead end and you need professional help from our local Italian genealogists write to castelgrande@italianside.com our expert in Castelgrande area will study your request and will reply to you with a research plan and a quote. My grandparents were born in Castelgrande. They didn’t know each other when they came over to NY, as they left there home in Italy when they were young with their parents. My grandmother was Pasqualina Ianuzzi, born in Sept of 1888. She came over to NY with her mother (her dad had died) at around the turn of the century (maybe a yr earlier). Her mother was Dorotea Cerrone. Dorotea eventually remarried here and lived in Portchester, NY with her second husband, whose last name was Pace. My grandfather, Giuseppe Matturro, was born in April of 1885. He had brothers (Pasquale, Vincenzo, and I think Antonio). Some of them settled in NJ, others on Long Island, NY, and the rest in NYC and the Bronx. We are not sure if the spellings of the surnames are correct, as we could never find any birth records on them when we went through their things. My grandmother never went back to visit, as she said there were no relatives left there. My grandfather died very young in 1922. Her sister, Regina, married a Gasparini in Castelgrande, and then came over to NY with him. Again, not sure if this spelling is correct. Anyone out there think there may be relatives in Italy with whom I can connect, or maybe folks here with whom I am related? Hope to find someone out there!!!! Thanks!! My grandfather was born March 8 1879 in Castlegrande Potenza Italy. His father was Angelo Masi. Does anyone know his mothers name. The majority of the Masilotti Family lives in Caracas, Venezuela. 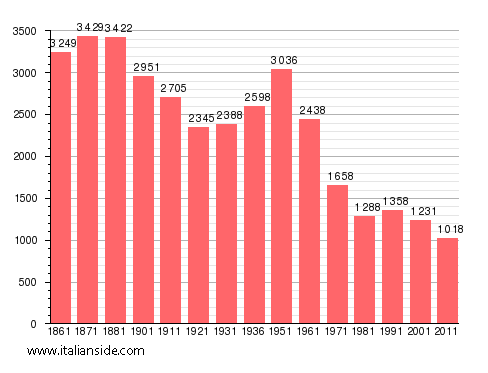 Yes, the Italian State digitized much of the records from Castelgrande. I can find out for you if you have not already found the answer. Yes, a lot of Masi’s moved to South America, but there are plenty in the US and Italy as well…. My great-grandmother, Vincenza Gasparina, left Castelgrande with her children Maria, Matilde, and Pasquale sometime around 1883-1885. Her husband was Isadoro, but I have no information about happened to him except that her marriage license to Lorenzo Bologna (Belloni) listed her as a widow. My grandfather, Patrick Gasparin, was born in 1881 in Italy, and he grew up in the Bowery in Little Italy. Would like info about Gasparina or Gasparini family. Please use Italian Family in the subject line. Looking for any information on the Racaniellos from Castelgrande. Immigrated through New York. My great grandfather was Vito Masi from Castelgrande and he came over through Ellis Island I think in late 1890’s and had a son in 1902 Angelo Masi born I think in Port Chester, New York. He married Anna (Graziano) and had my father Victor in 1936 and his sister Marilyn in 1931 and three both grew up in Port Chester. I am seeking any info on Vito and his family in Castelgrande. Have any Masi’s ever returned to Castelgrande to meet with relatives there? I am interested in learning any information about the Lissanti/Christiano family. Their names were Peter and Teresa Christiano and came to New York around 1912. I had an uncle pete christiano that came to America form castelgrande around that time…. Presumable left and arrive Ellis Island? They both married and gave birth to children, one whom was Anna Mennona born in Stamford, CT. 6/18/1916, since deceased. Any info would be most helpful, thank you. I am a descendant of Felice. Archangelo ended up in Colorado and Felice and Vittorio ended up in elizabeth nj. I have never heard or was told of the others but am actively trying to piece the information together. My grandfather wasDomenico Cardillo who emigrated to the US in 1900 with several friends (from the families Masi,Melillo, Bologna, and D’elia). I would like to know how I might be able to find out if the Cardillo families still residing in Castelgrande are my relatives. Any help or guidance would be appreciated. Dear friend. I am from Venezuela. I was born in Castelgrande and when I was 6 month old my parents emigrated to Venezuela. As I remember, there is a group of memmbers of the Cardillo family in caracas. I don’t know how I got on this page but my grandmother was a Masilotti born around 1900 from Castlegrande. Her parents were Vito and Vincenza. Maybe Masilotti was a common name. Just some info. My Great Grandfather Giuseppe Bologna came over in 1901 and resided in NYC, i wonder if our grandparents came over together. I am interested in the Colonna family. My grandmother Agnese Colonna came to New York via Ellis Island in 1921. She was born in 1899 and lived in Catelgrande with her parents Giuseppe and Carmela and siblings, Felice, Archangelo, Vittorio, Gerald, Mary and Theresa. I would appreciate if you could provide me with any information about the family. I believe there are relatives still living in Castelgrande. I will be visiting Italy in the Spring and would like to make contact. I am interested in the Pace family. My great-grandfather Giambattista Pace came to New York via Ellis Island in 1909 with one of his sons ( I think his name was Pietro? ); then in 1912 he brought the rest of his family to New York including my grandfather Guiseppe Pace. It would be appreciated if you could provide any information on the Pace family. I miss my grandfather very much since he died and any link to his history would comfort all my family. Thank you for your help. Maria Lucia Pace was my 2nd Great Grandmother, she was the daughter of Giuseppe. She married Nicola Marie Caputi. My Great grandfather Micheal Caputi was their son. If you would like to start a research in Castelgrande please send your request to castelgrande@italianside.com.